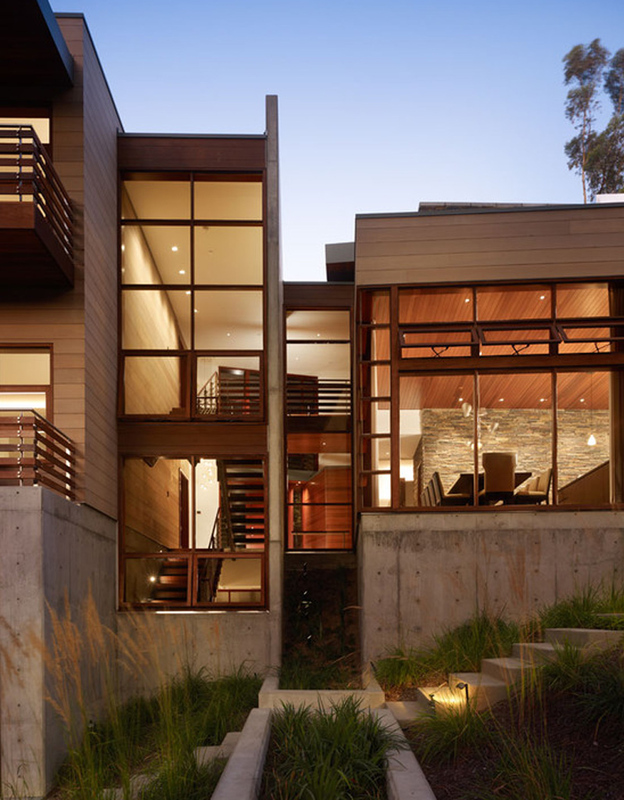 This is a custom built house created by Rockefeller Partners Architects, and they have won many prestigious awards in various categories for their beautiful designs. Built on a magnificent canyon surrounded by a small grove of eucalyptus and pine trees, the house is a combination of geometric lines, wooden materials and edgy construction. The exterior is a true work of art with wooden slating and large windows, not to mention the concrete decking area and pool. On the inside of the house, the interior has been delightfully decorated with wooden panelling, plush carpets and furnishings and concrete feature walls leading up through the stairs. With three levels to this house, it really is a huge build, with many brilliant industrial features. Photos by Eric Staudenmaier.